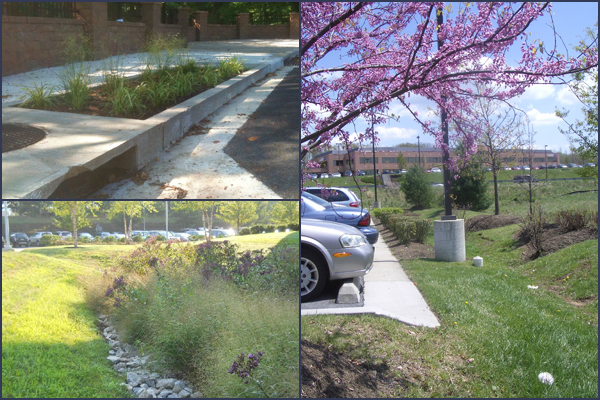 Sustainable Stormwater Management | Stormwater. It's what we do. This little bugger is destroying the dam! The purpose of stormwater ponds is to collect polluted stormwater that would otherwise flow into a natural body of water during an event of precipitation. In order to do this correctly, there needs to be a stable embankment, or dam, to hold water in the pond. 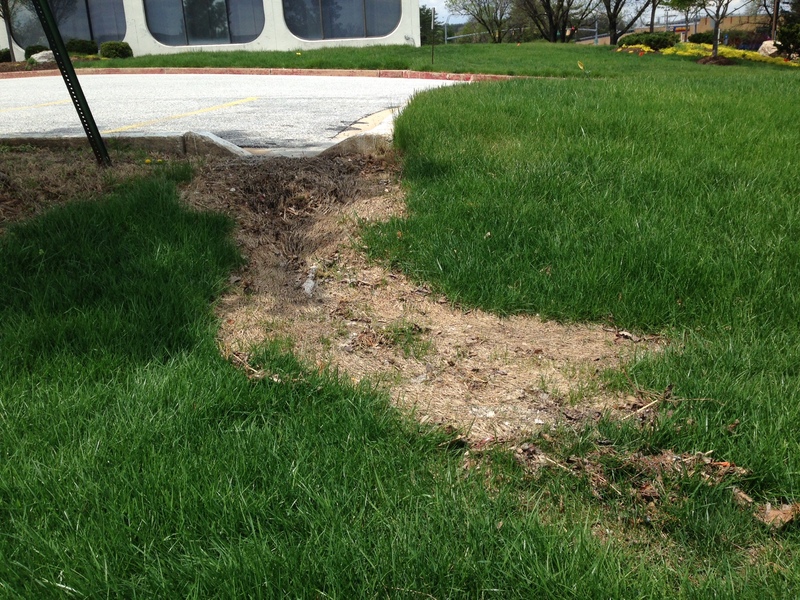 The natural behavior of groundhogs is detrimental to the structure integrity of these embankments. When they burrow into the earthen fill of an embankment, it can establish new flow channels. These flow channels are unstable and can erode quickly if water flows through them. If the flow channels get too close to going through the dam (extending from the pond area to the downstream dam face), they can lead to catastrophic dam failures. Such a failure can be a huge liability for dam owners as the sudden rush of water can damage anything in its path including roads, homes or other structures, and the environment. Clearly, it is important to make sure that ground hogs or similar burrowing animals are kept out of stormwater facilities. Sadly, these cute little guys must be eradicated by trapping or other means and the burrows must then be repaired with the appropriate compacted soil. However, the best method of dealing with a possible groundhog invasion is to take preventative measures. 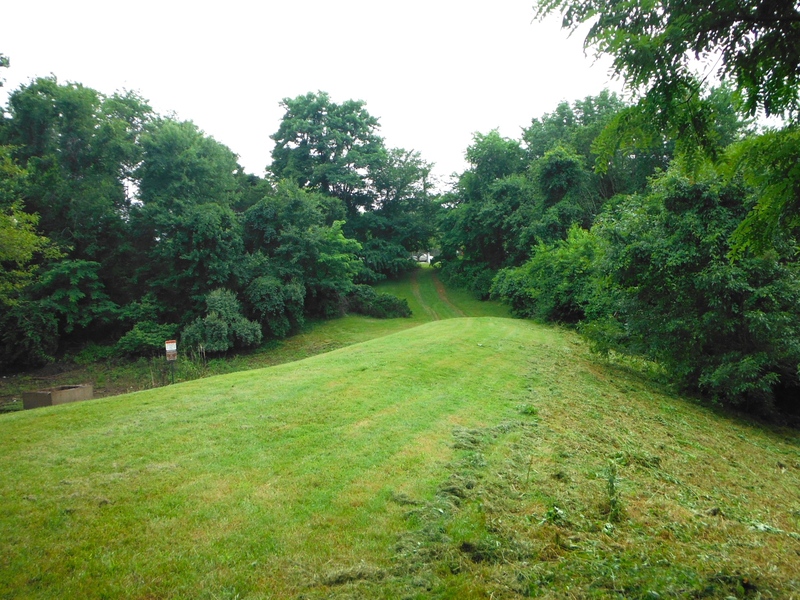 This includes mowing and regular upkeep of vegetation around the embankment and annual inspections. 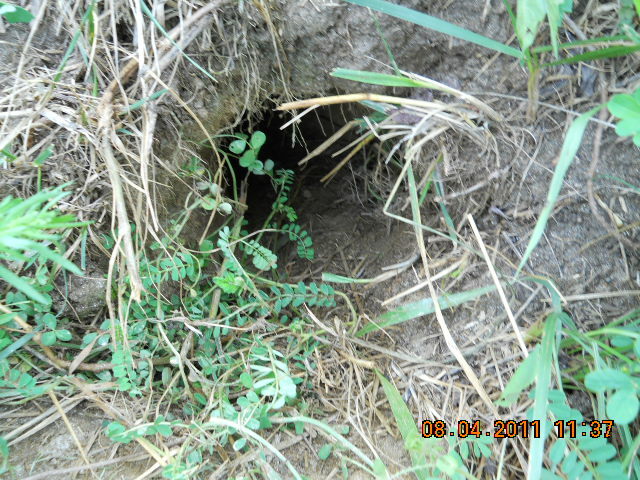 Overgrown vegetation is the ideal condition for groundhogs and other rodents to burrow and makes it difficult to tell when they begin to get established in their new home. Combined with annual inspections, proper vegetation management is the key to keeping these guys in check. 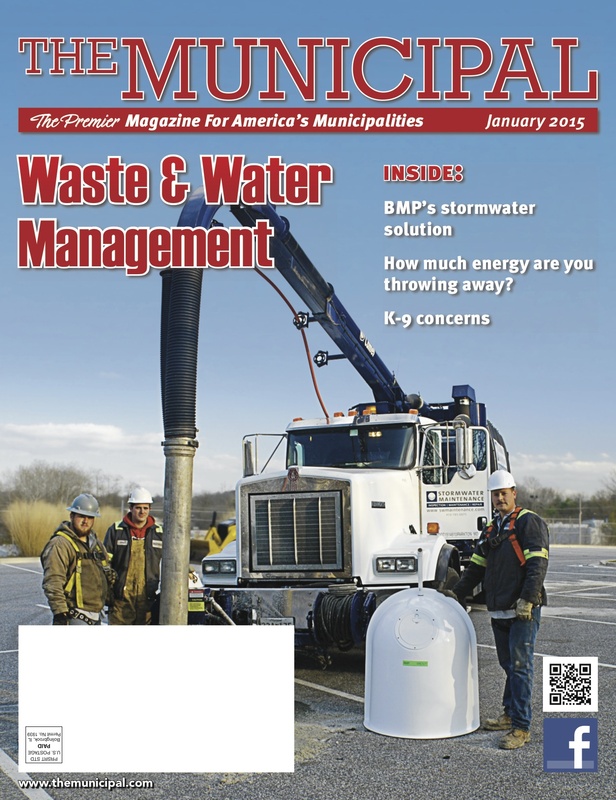 Our vac truck and hard working crew were recently featured on the cover in the January 2015 issue of The Municipal about the Snout. And our president, Jennifer Rauhofer, PE, was quoted in the companion article. Invented by T.J. Mullen, president of co-founder of Best Management Products, Inc., the purpose of this device is to remove pollutants out of stormwater. When it rains, water that runs off of impervious surfaces such as roads and parking lots contains trash and other pollutants. While there is an effort to minimize littering in many communities, pollutants that cause a decrease in water quality consistently end up getting into drainage systems and, therefore, into our waterways and the oceans. The Snout is designed to keep oil and trash on the surface of the water, while heavy sediment sinks to the bottom, letting only clean water through the middle. 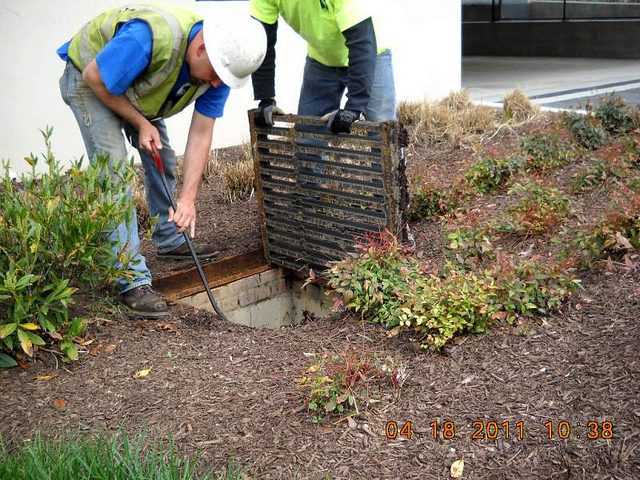 Stormwater Maintenance & Consulting has inspected and maintained many Snouts throughout the Mid-Atlantic. It’s simplicity and effectiveness make it one of our favorite BMPs. We give the Snout 5 stars! 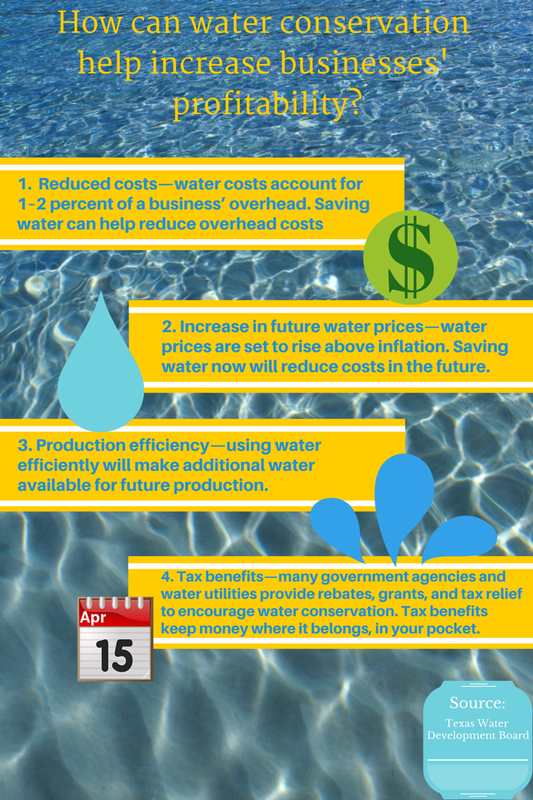 Water conservation in the workplace will help your business save money now and in the future. Here are four many reasons use this valuable resource wisely. People often log in to social media sites when they are, well, socializing. We view our newsfeeds and update our statuses during our breaks at work or when we get off work. But what about using social media at work as a research tool? In the last few years, the content on social media has evolved to become much more than teens’ selfies and pictures of adorable cats with poor grammar. It has become a place where various professionals share information. Pinterest is an excellent research tool, especially for the visual learner. Users present concepts in easily digestible infographics and pictures. Each one has a link to the website if you wish to learn more. The site also helps the researcher organize their sources by “pinning” them to different boards. Even Twitter has educational benefits. These days there is a hashtag for almost any topic; Google a topic to find a hashtag. The researcher has access to a professional conversation about a certain topic with each entry of 140 characters or less. Again, small, digestible information with links if the tweet sparks the viewer’s curiosity. The researcher can even join in the conversation by using the hashtag in their tweet. Google+ is another place to find organized content from professionals. Although most of us are still trying to figure it out, you do have an account if you use Gmail. Like Twitter, Google+ uses hashtags, but you can also utilize the Communities feature to explore a particular topic. So next time you need to familiarize yourself with an unfamiliar topic quickly, log on to Pinterest, Twitter, or Google+. You can truthfully tell your boss that you are on social media for work! Soil erosion from stormwater occurs when rainfall displaces and transports soil due the impact of raindrops or the flow of runoff. Erosion always results in sedimentation, which occurs when runoff flow slows, allowing the loosened soil particles to settle. Sedimentation negatively affects aquatic life, natural habitat, and can increase maintenance of stormwater infrastructure. Upstream erosion and the resultant sedimentation in stormwater facilities results in increased costs of stormwater maintenance. The following are three ways you can prevent erosion. 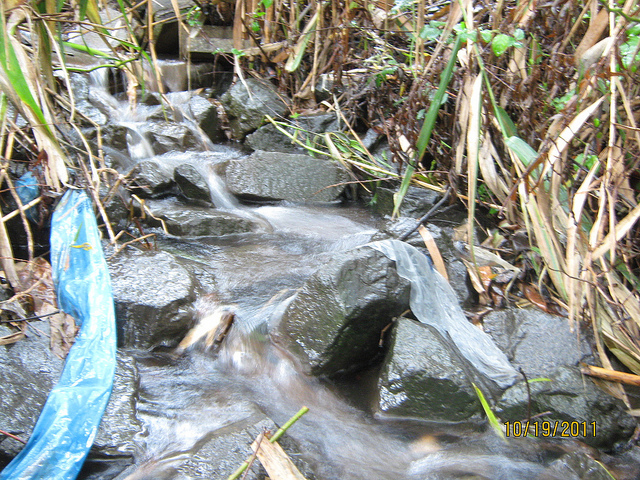 Regularly check the stormwater facility on your property for areas of soil erosion. Small repairs can occur in conjunction with routine maintenance by qualified personnel, whereas larger repairs can cost thousands of dollars. 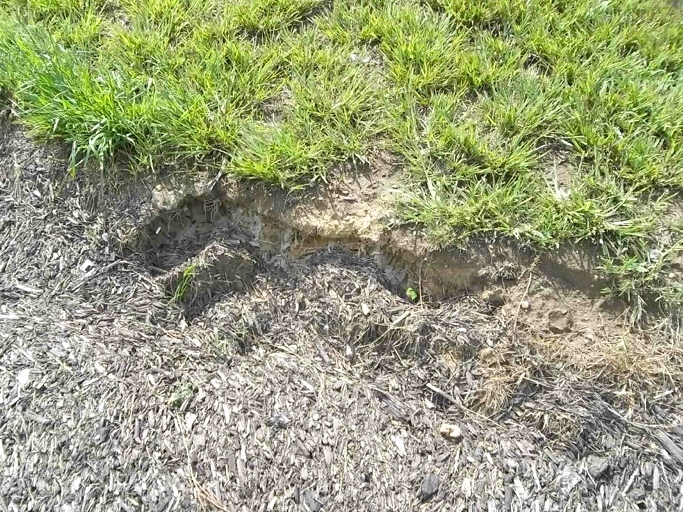 Being proactive with small erosion repairs will avert extensive erosion and more expensive repairs. Make sure mowing crews mow in different directions to prevent rutting and eroding soil. 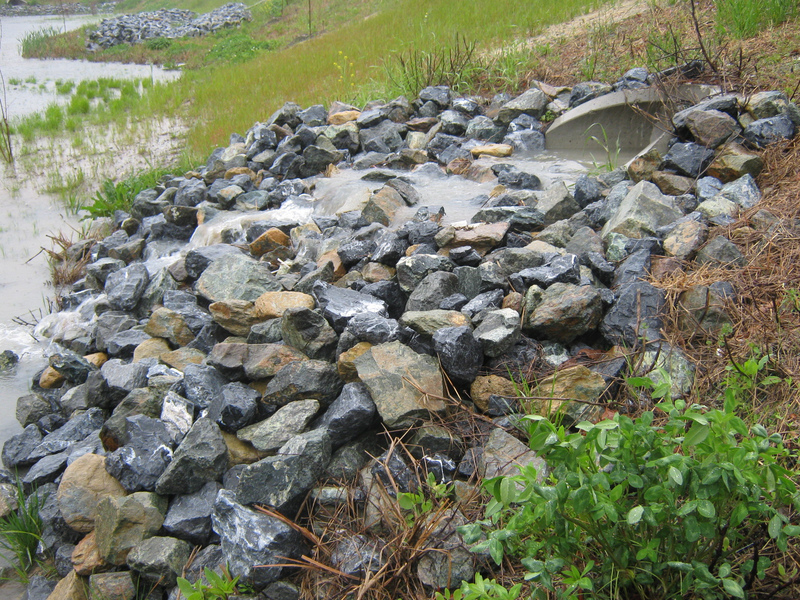 Protect the inflow path into your stormwater facility with appropriate riprap or other materials to prevent soil erosion. This will help infiltrate the stormwater runoff if current soil conditions are not sufficient. Click here for full agenda and to register. What are the Impacts of all that Road Salt? After a winter as harsh as the one we’ve just experienced, one question lingering in our minds is, what is the environmental impact of all that road salt? 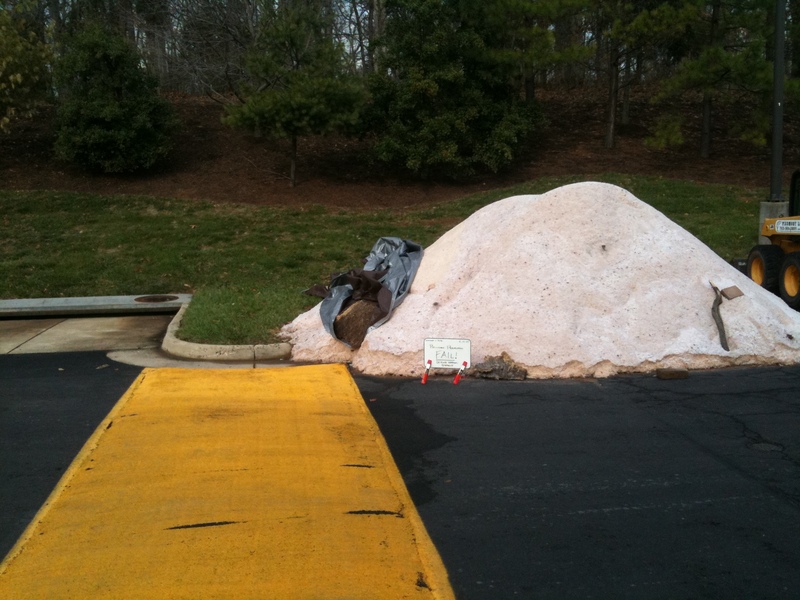 Maryland’s State Highway Administration reports using 480,000 tons of salt this past winter. The average for the previous 6 years is about 211,000 tons. 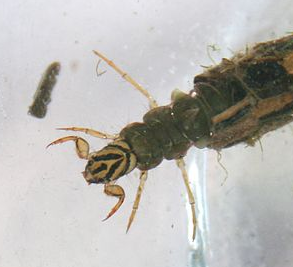 Near the bottom of the food chain, mayflies, stoneflies, and caddisflies are particularly sensitive to changes in salinity. These insects are an important food source for birds and fish. Brook trout is noted as a fish species found in Maryland streams most sensitive to changes in salinity. Many types of amphibians, such as frogs and salamanders, are affected by increased salinity, especially those that lay eggs near the bottom of ponds where salt concentrations are highest. Studies show that birds that ingest salt crystals can die within 45 minutes. Salt can also be fatal to other small animals, such as rodents, that eat leaves coated in salt dust, or breathe it in. Roadside grasses and other vegetation can be killed off by road salt. These plants are important for preventing soil erosion. All types of vegetation, even trees, can be killed off, or at least weakened, by road salt when they are coated in it due to spray from traffic, or by taking up salty snowmelt through their roots. Studies also show that road salt increases salinity in our drinking water reservoirs. Measurements of salinity in reservoirs going back to the 1980s show a steady increase over the past few decades. Removing ice and snow from roadways is important for creating safer driving conditions during and after snowfall events, so, do any alternatives to salt even exist? y not have been as effective. Cheese brine has also been used, and while it is a good idea to find uses for manufacturing by-products, its ecological impacts are unstudied, and therefore unknown. MDE’s web page, “411 on Road Salt” says that Maryland’s SHA has been experimenting with all of these alternatives as well as finding ways to reduce the amount of salt they use. One piece of good news is that pretreating roads with salt brine, a relatively new practice, can reduce the use of salt in multiple ways. Brine can’t be blown away by wind or bounced off the road by traffic, so waste is reduced. This pre-treatment also begins to melt snow as soon as snowflakes touch the road, which makes it more efficient, resulting in less salt needed throughout a snowfall event. Stranko, Scott, Rebecca Bourquin, Jenny Zimmerman, Michael Kashiwagi, Margaret McGinty, and Ron Klauda. Do Road Salts Cause Environmental Impacts? Rep. N.p. : Maryland Department of Natural Resources, 2013. Siegel, Lori, Ph.D., PE. Hazard Identification for Human and Ecological Effects of Sodium Chloride Road Salt. Rep. N.p. : New Hampshire Department of Environmental Resources, 2007. Pomeroy, Courtney. “Harsh Winter Doubles Normal Md. Road Salt Use, Sparking Environmentalist Concern.” CBSLocal. CBS DC, 13 Mar. 2014. Web. 04 Apr. 2014. <http://washington.cbslocal.com/2014/03/13/harsh-winter-doubles-normal-md-road-salt-use-sparking-environmentalist-concern/>. Montero, Jorge. “A Briny Challenge to Cleaning the River.” Web log post. AWS Blog. Anacostia Watershed Society, 18 Feb. 2014. Web. 4 Apr. 2014. <http://www.anacostiaws.org/news/blog/briny-challenge-cleaning-river>. “The 411 on Road Salt.” The 411 on Road Salt. Maryland Department of the Environment, n.d. Web. 04 Apr. 2014. <http://www.mde.state.md.us/programs/Marylander/Pages/roadSalt.aspx>. Bioretention Illustrated is now available as a mobile app! 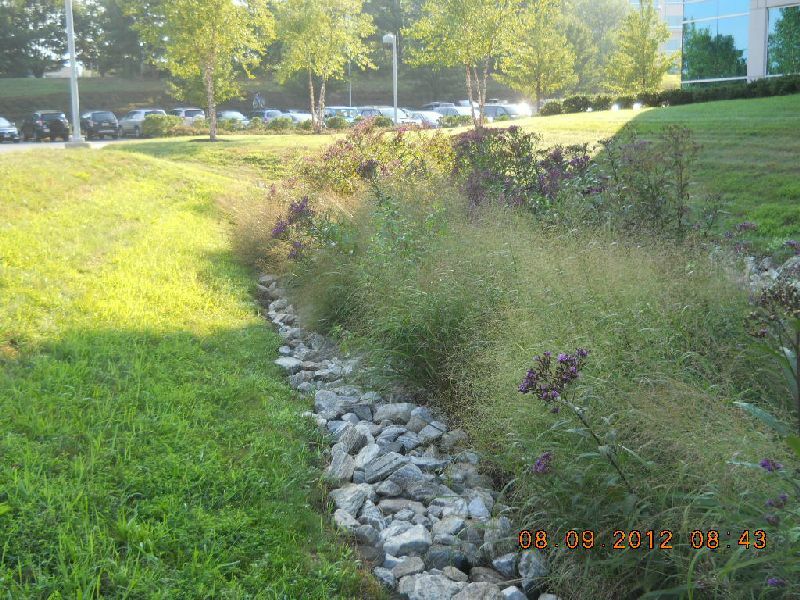 One of Chesapeake Stormwater Network’s (CSN) many projects, Bioretention Illustrated, is a guide to inspecting bioretention facilities. Because this type of low-impact design practice is still new to some, CSN created a visual guide showing all the potential problems that an inspector should be trained to look for. Stormwater Maintenance and Consulting (SMC) is pleased to have been involved with its creation. The guide can be downloaded for free on the CSN website. And now Bioretention Illustrated has been taken to the next level as an app for your mobile device. 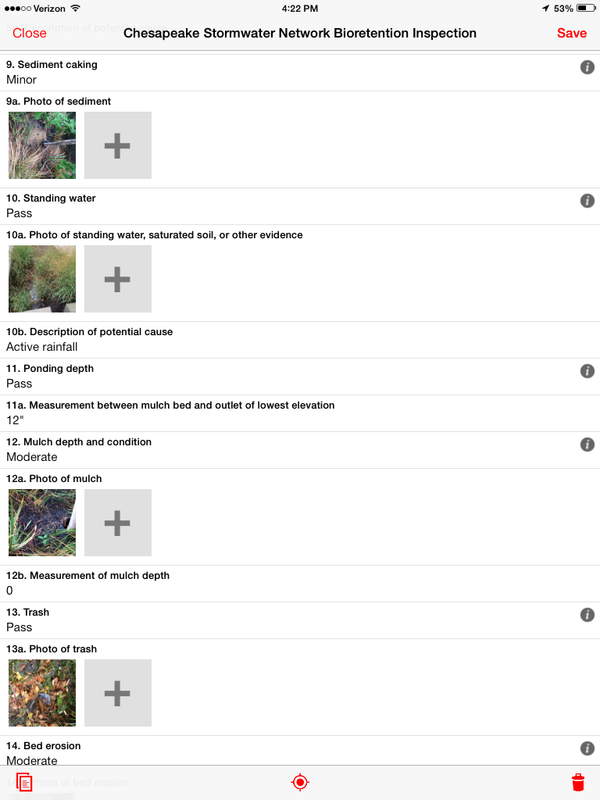 Using web-based data collection software (in this case Fulcrum), an inspector can use this app like a checklist to collect data in the field by filling in the form on a smartphone or tablet. The app includes input of photos and GPS data. All the data will then be downloadable as a spreadsheet or as individual PDF reports. The Bioretention Illustrated app can be found here. 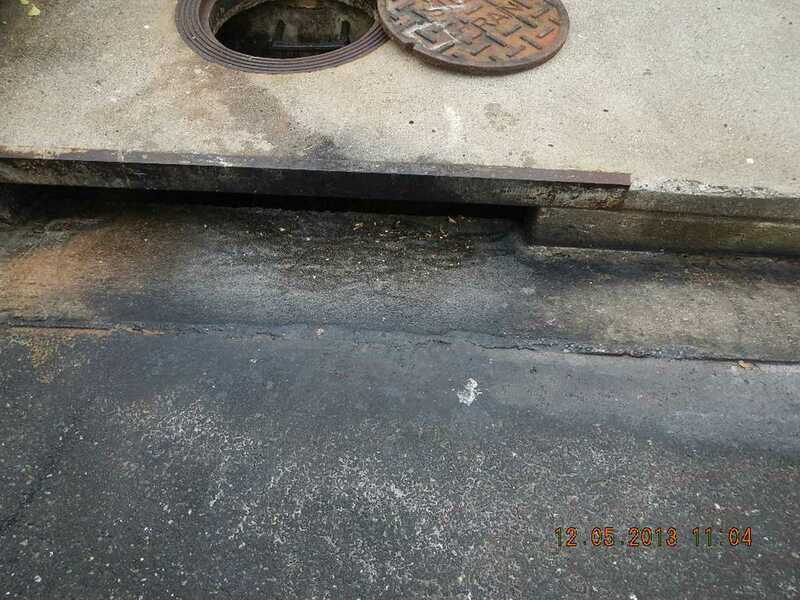 Some ask us why it is important to inspect stormwater infrastructure on an annual basis. For owners, inspections are the best way to ensure their facilities are functioning correctly. Inspections can also reduce the cost of maintenance by catching small problems before they grow into more expensive issues. 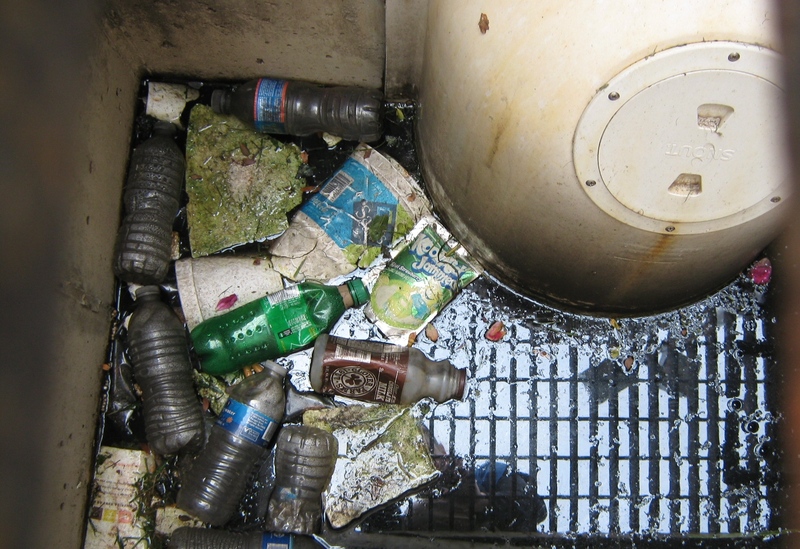 We recently encountered a situation that illustrated a more urgent reason to inspect — to make sure the operators (or tenants) are not discharging illicit materials (i.e. 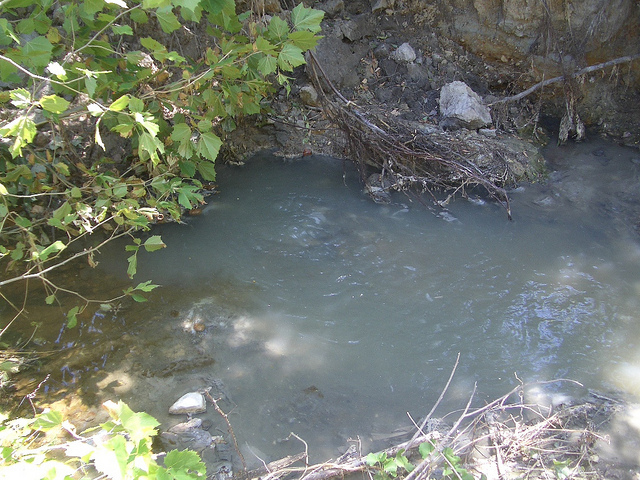 pollutants that should not end up in the natural environment) into the stormwater system. We are not naming any names in order to protect identities. Our client, the local municipality, will be taking care of enforcement. A dark stain on the concrete at the mouth of the inlet. Behind a restaurant in a shopping center our inspectors spotted two signs that illegal dumping was taking place. There was a dark residue at the opening of the water quality structure they were inspecting, and there were noodles and grease inside the structure. 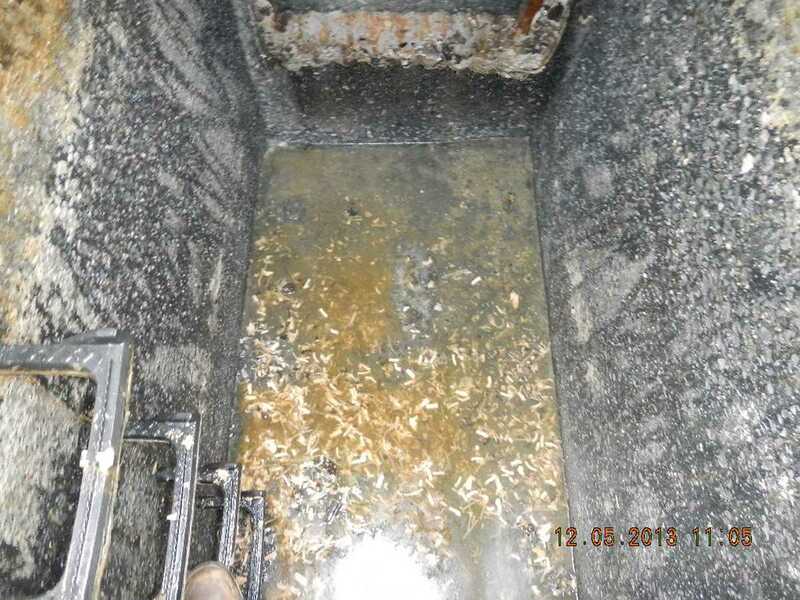 Apparently, the restaurant operator was not aware of the environmental damage that grease can do because they were not using the proper procedure for disposal, which is to send it to a rendering facility. Our inspectors immediately contacted the client to make them aware of the situation. Noodles found inside an underground facility. At that point our job was done and we suspect the restaurant operators will have a visit from the authorities and will be responsible for cleanup, a change in operations, and quite possibly a fine. While it saddens us to know that many (maybe even most?) people do not understand the ramifications of actions like these, these situations certainly make us feel proud that our work contributes to improving the environment – one stormwater facility at a time. Raw sewage leaking from a broken sewer main in Baltimore County. Sewage is usually indicated by cloudy or milky-looking water. 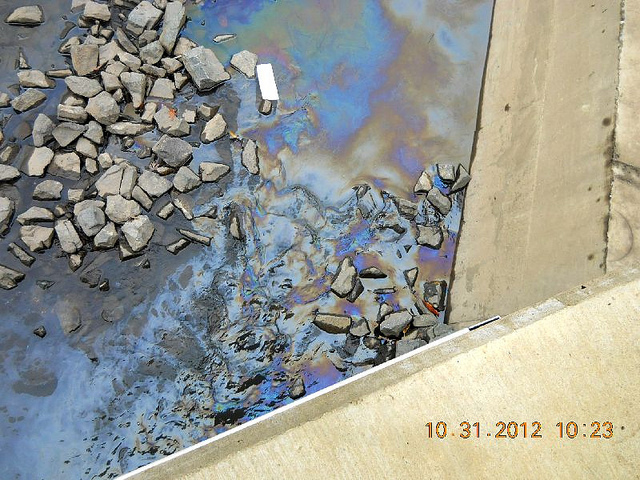 A toxic soup – plus trash – discharging from a storm drain pipe in the Baltimore area.